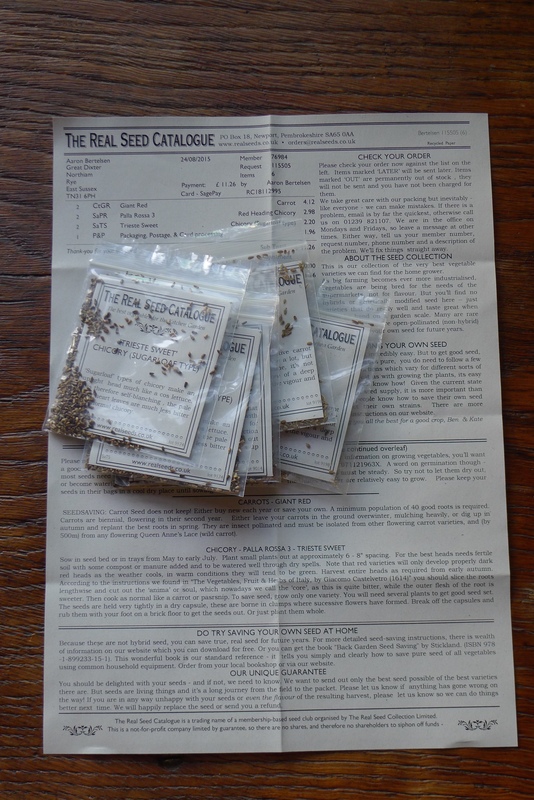 I love getting seed from ‘The real seed catalogue’ they send with the seed an information sheet with all you are going to need to know about the seed you have and the plant it will produce. I ordered a winter carrot called ‘Giant Red’ and two lots of chicory ‘Palla Roasa 3’ and ‘Trieste’ these are going to give us vegetables for the winter. I hope to get more and more seed for them over the years, and I should save more of my own seed but them I will not be able to eat the vegetables. I woke early yesterday morning because of the strong wind. 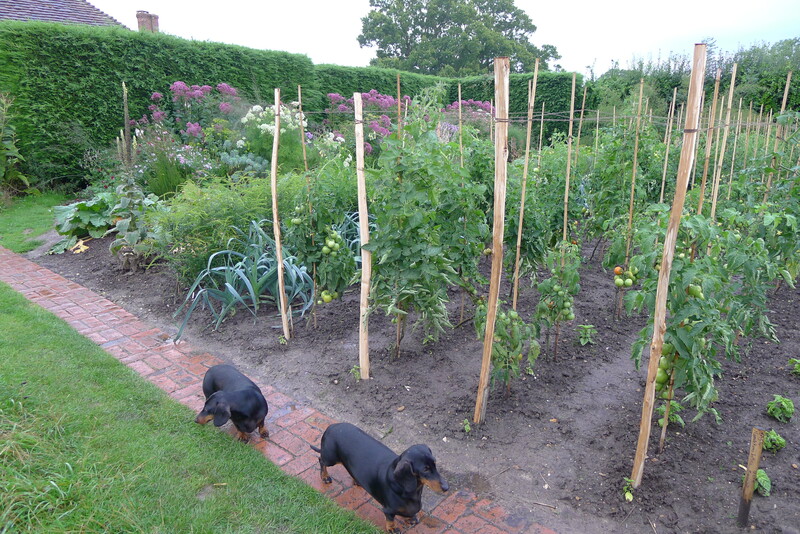 I have to say I was very unsettled and could not get back to sleep, I was worried about the state of the tomatoes with all this rain the stakes have moved a little and I could picture going up there and seeing them all on the floor. So up I went with my camera and was happy to see only one had fallen over so once Sam got to work I went and asked him to make some strong supports that I can put at the ends of the rows then run twine down and support each cane, it worked, well the wind died. When it is too wet to get on the soil you might as well start to think about next spring and getting things ready, and today it was getting labels ready for next growing year, these are off cuts from Simons wood work that we use at each end of the rows, one as a marker and the other to write what the crop is, who the seed supplier is and the date the seed was sown. It is not the fist time I have thought about next year. I have also started to think where crops like potatoes and tomatoes will be planted. 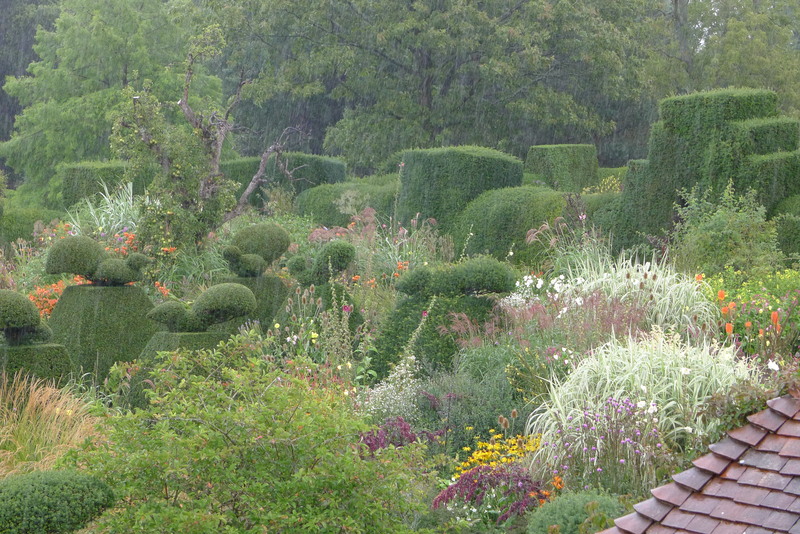 Both Saturday and Sunday mornings I wanted to wake up to the sound of rain but only woke to sun on both days. I was the third person on weekend duty, the third is there to help out with the watering because the amount of pots has got bigger, and to me the garden does look better for it, even my collection in the kitchen yard has grown. But I did wake to rain this morning, does make it hard to get you off the bed. It was not the end of the world because I was inside for the day cooking for a study day but now I want the rain to end, not sure it will till the children go back to school. 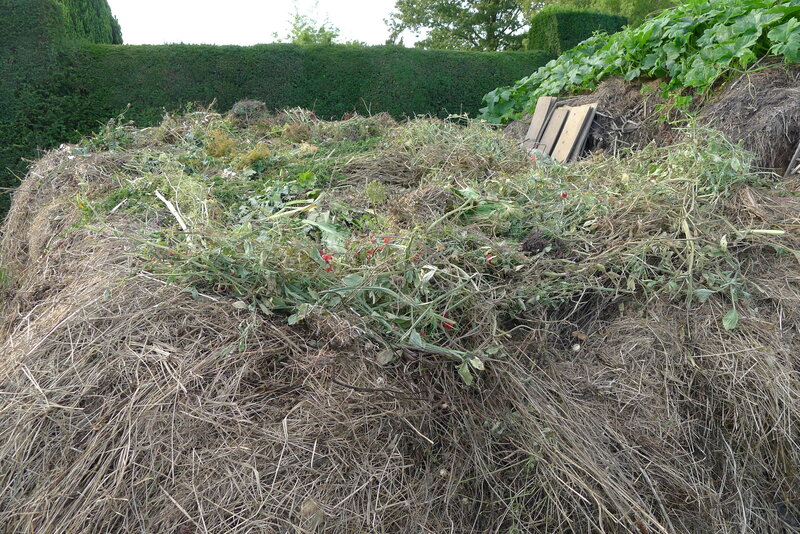 Sometimes you have to move plants so that they look better and we have done just that we have moved the sweet peas from the high garden to the compost heap and now they are going to give back to the garden, well in three years when that pile of compost will be used for the winter digging. Both Miscanthus and myself are happy to see them moved. 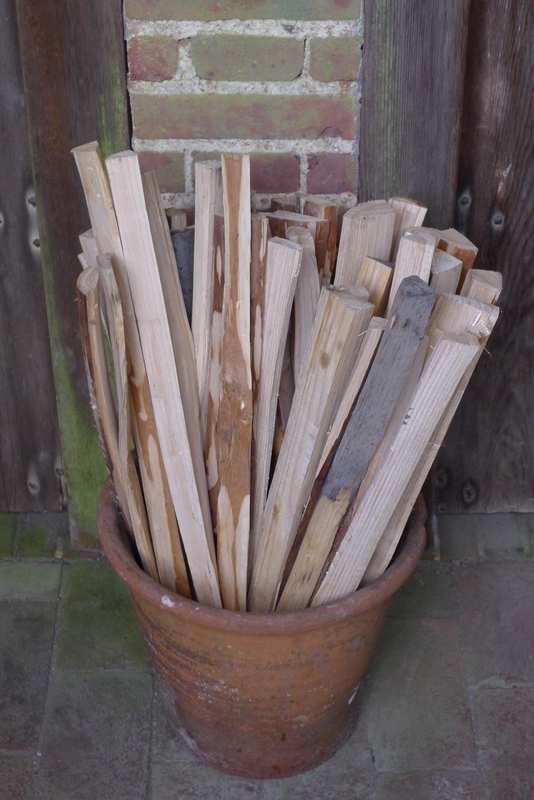 Both Miscanthus and myself now think the sweet peas need to come out, it is interesting that something that was so perfect and sweet-smelling can become something that you resent and not want to see anymore, a bit like an old lover. 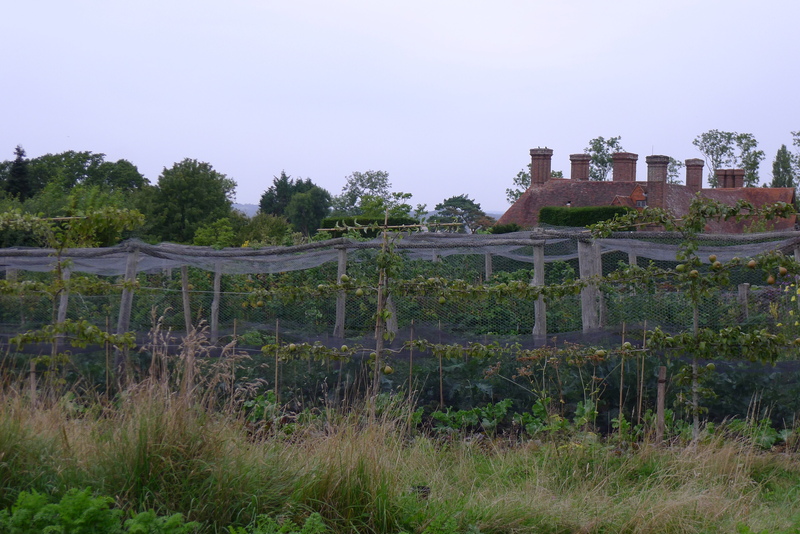 The vegetable garden is looking great but the thing that is bringing it down is the sweet peas that are one of the backdrops to the high garden. 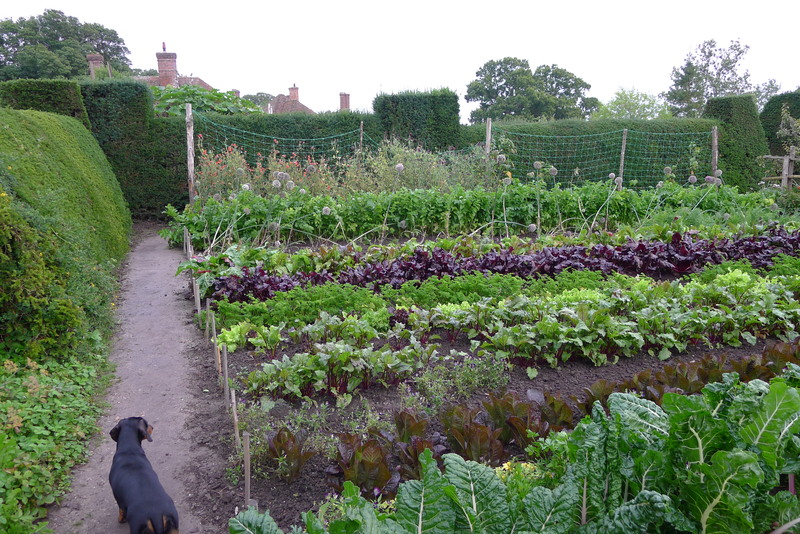 So the sweet peas will have to be taken down and put on the compost, a job for next weekend maybe or even tomorrow.